Well I thought I´d share these anyway. 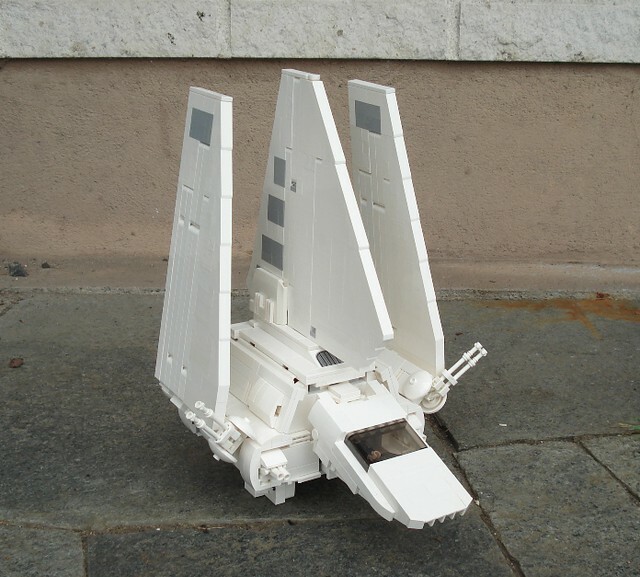 The Imperial shuttle is one of my favourite vehicles of the OT, so what started with a couple of tiles ended up with a couple of Bricklink orders. The wings are made in the same way as the top fin (and UCS wings). Bricks and Technic beams. The end result turned out very nice. 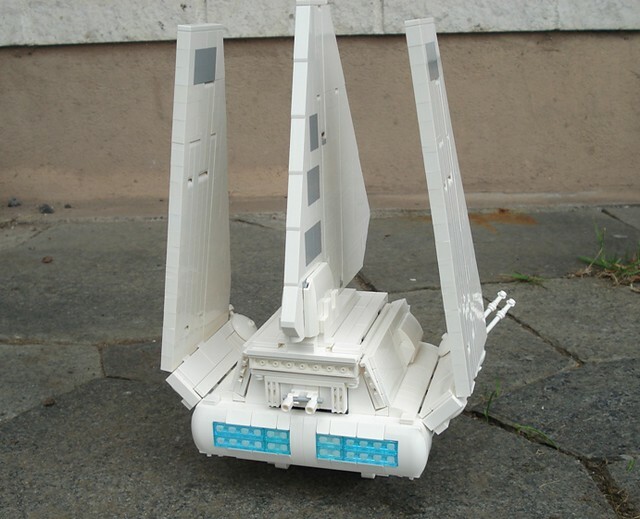 The cockpit needed to be thinner when made out of all white parts. The designers of 75094 and 10212 used gray in a very clever way to make the cockpit look thin yet still hold figs. In my flickr there is a before and after photo of the cockpit during the mod. There is no room for a copilot anymore but the troop area remained unchanged. Alot of tweaks and rebuilds later I feel finished. There is room for improvement but at the moment i´m satisfied. 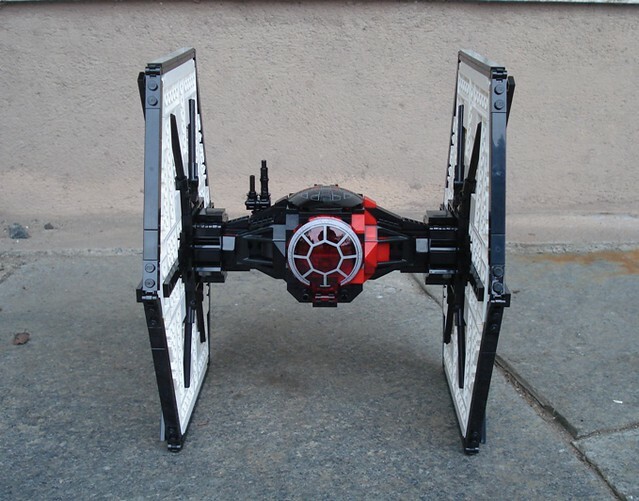 And now the First Order Special Forces TIE Fighter 75101. Main differences are the now white wings and the inner spokes on the wings. 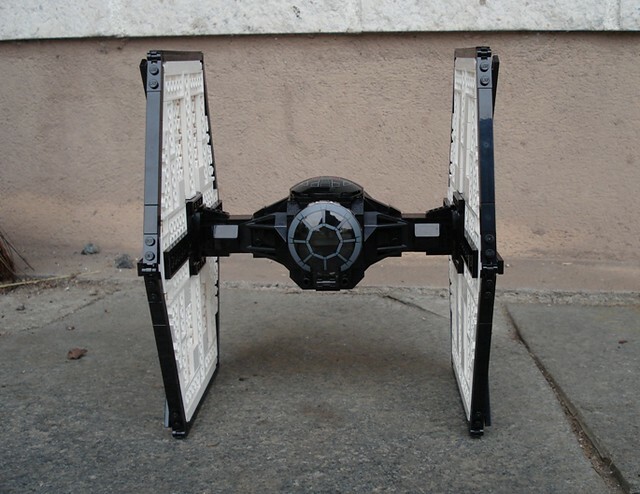 The inner spokes are, as you know a problem since the first TIE Fighter released. 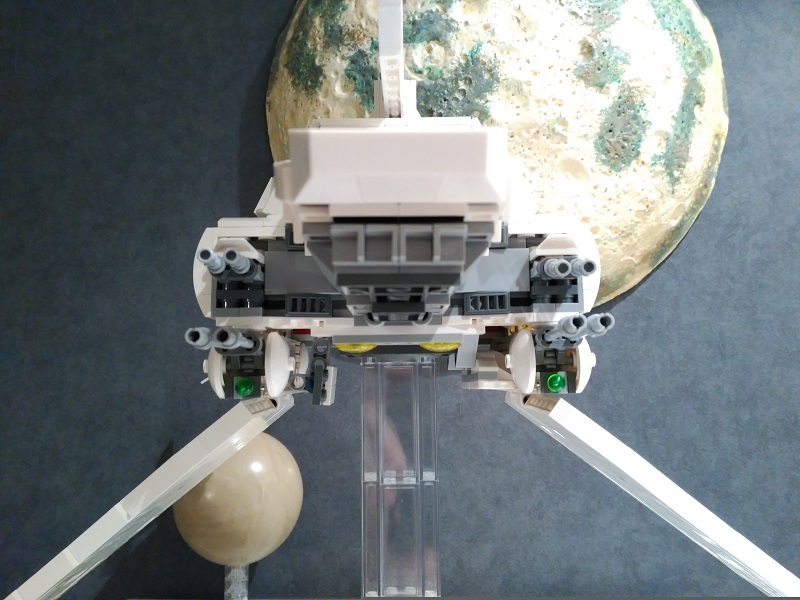 I am satisfied with the solution I came up with using technic connectors and axles. I tried using longer axles but then they bent outwards because of the plates, so I used the shorter ones for a sleeker look. The top cannon got rebuilt to look more like the one on Hasbro´s model. I also extended the main body so the model is two studs wider than the official set. 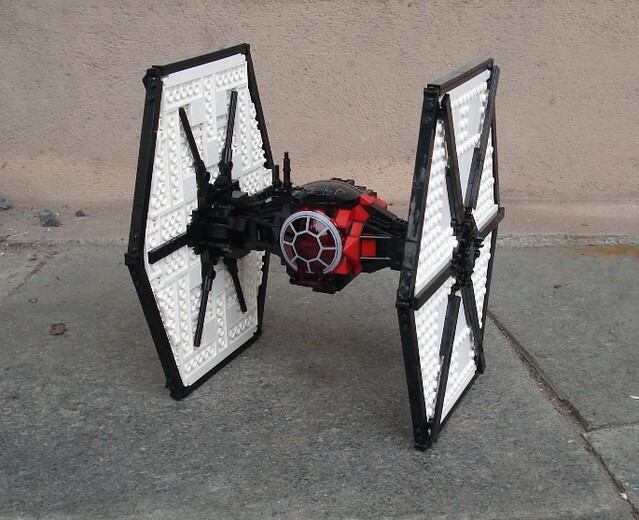 There is already a great version of the standard FO TIE in this forum by user belkor. He inspired me to make my own. I based mine on 75101. 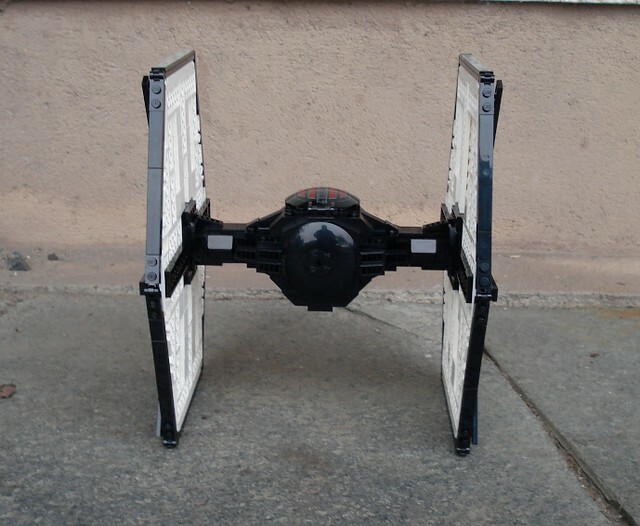 I´m currently awaiting parts to incorporate the spokes on the inside of the wings as I did on my Special Forces TIE. Other than that this one is also two studs wider. I think they both look fantastic! Really good work on the shuttle. 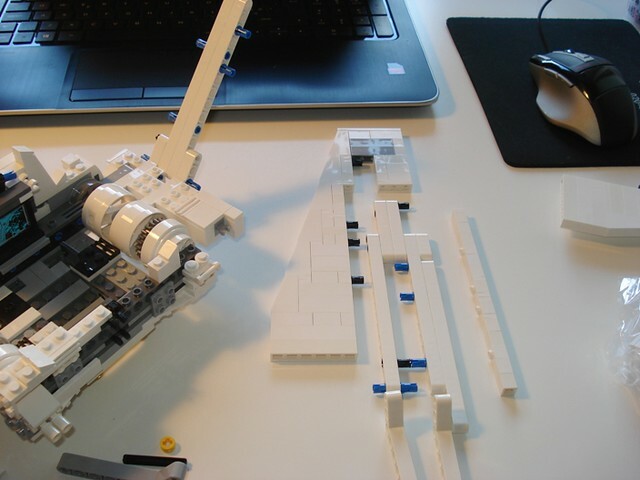 I was planning on putting pen to paper to plan this exact same mod, but since you've done it so well, do you mind if you share a side on picture of the wings so I can see the bricks/position of technic beams you've used for the wings? I take it the scale of the wings is unchanged from the original plates? Did you change how the are mounted too much? Nice work. Getting the beams on the inside of the wings is really important to the look, I defo need to put some effort in in that regard. 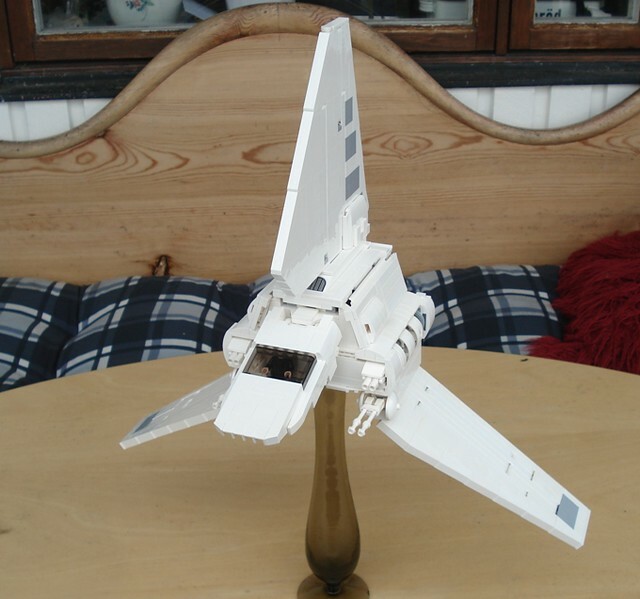 Such a great idea to build the Shuttle wings the same as the top fin - brilliant. That's going on my list of things to do in the near future. The shuttle is soooo much nicer this way. Any chance of a parts list/instructions? I took a few pictures during the build. One included in this post. Look into my Flickr album for one more photo of the wings. 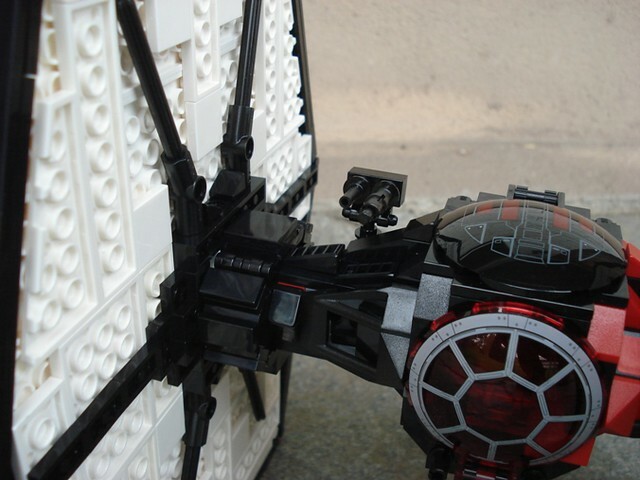 There is room for improvement as the bricks closest to the body aren´t supported by technic pins. They stay in place no problem but if you bump into them they will fall off. The scale of the wings aren´t exactly the same beacuse of the different angle of the slopes and the wedge plates. I thought it was Close enough. The wings use the same bent technic liftarms to attach to the body as the official set, so no you do not need to take it all apart. Unless you want the liftarms to be white. Tanks. 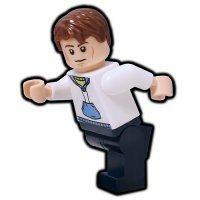 I do not use LDD when I build so unfortunately no parts list. The WIP-photos show how the wings are built. Your shuttle and Ties look fantastic! I've had an obsession with getting a good shuttle built before I bought Tyderium, but about a month ago I caved. I really wanna re-do the wings like yours now, as the plated wings just look a bit off. Thanks. If I find some spare time this weekend I might do the wings in LDD. Wow!! Fantastic job on the wings and showing it can be done. I would have tried to come up with it on my own, but not enough time to do it/experience getting mod's like this done! I did mod the stand from the UCS Tydirium shuttle set to better fit the 75094 shuttle. I've attached it in case you'd deem it worthy to use (not sure if it will still work with your shuttle after modding it). Thanks. I downloaded your stand and will try to build it when I get some spare time. I believe I have all the peices and I have not modified the underside so it should fit without problem. Next time I tear the shuttle down I will probably remove the hatch since I will never use it. Bravo. Most impressed with the shuttle. The wings actually don't look as bulky as I thought they would with such a mod. What program is used to open these files? Where can I get one? Thanks. 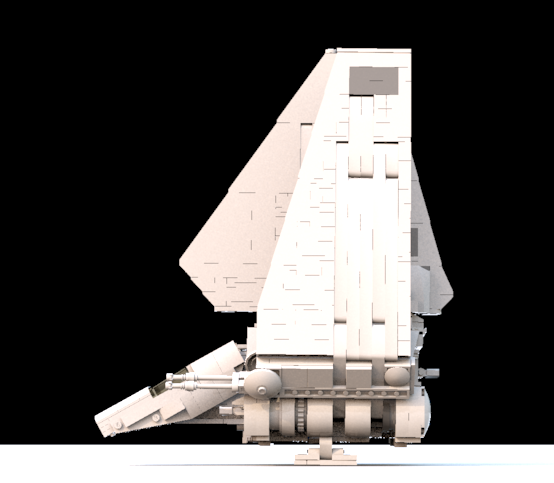 I got hold of a .lxf file of the entire shuttle so I will make a file for all mods and try to rebuild the bottom. It really need new landing gear. mordatre, please share your landing gear MOD for the shuttle when you are finished with it. 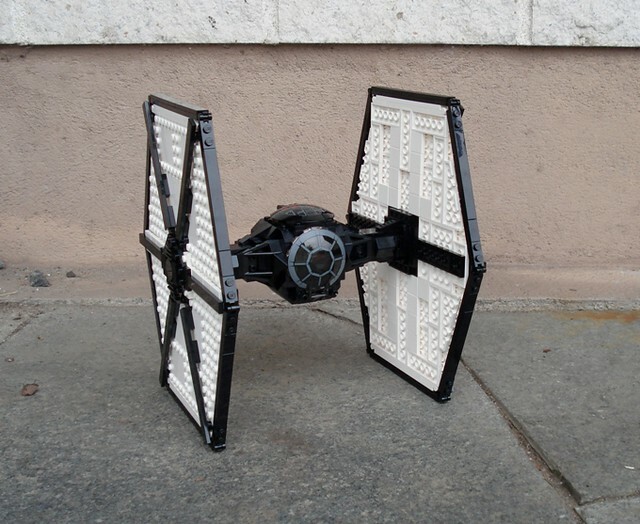 I really like your Imperial Shuttle mod here, in particular your most recent build. I had a similar idea after I built the 75094 set. I wanted it to look a bit more like the UCS build, but smaller. You've done a great job achieving that look with this. I'll be modding mine in a similar way. Thanks for inspiration and ideas. Wow, thanks so much for sharing these wonderful MODs. I am loving the shuttle now, and those TIEs are beautiful, too. I just can't wait to build these. 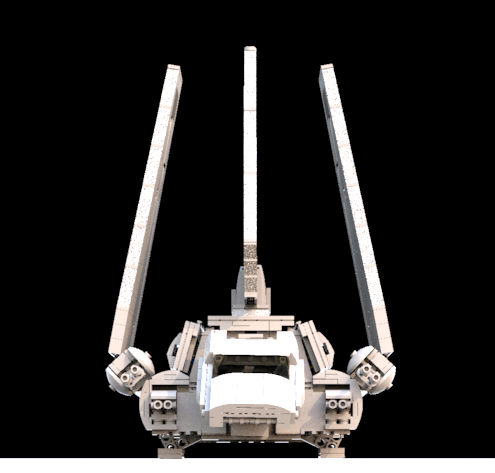 Thats excatly the mod the lambda class shuttle needs, since its landed stance is at least as iconic as its triangular flying stance. Looks amazing!! Any idea why Lego didnt go for this in the first place? Is it significantly heavier and stresses the base construction a lot more? Is it more unstable? Or, as it seems to be so often the case, were they just not capable or dedicated to do proper design studies? I built the shuttle with your wings and I think that it's a huge improvement to the set. 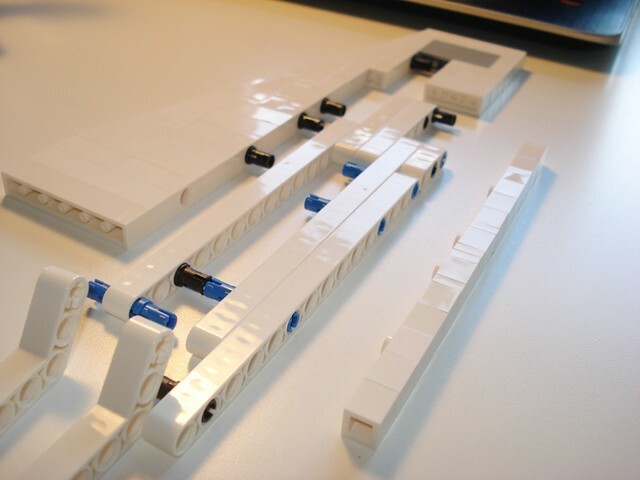 Too bad that it is not easy to get white bricks with enough consistency in the color. I am in the process of updating my shuttle and I kinda like the used look after including some slightly yellowed pieces. It depends on the location and the piece itself, so I have to agree it can be difficult to achieve the look you want. I am curious about the modded landing gear and how it fits in flight mode. Does anybody have a picture of that? If not,I may give it a try, I think I have the required parts in my bin. 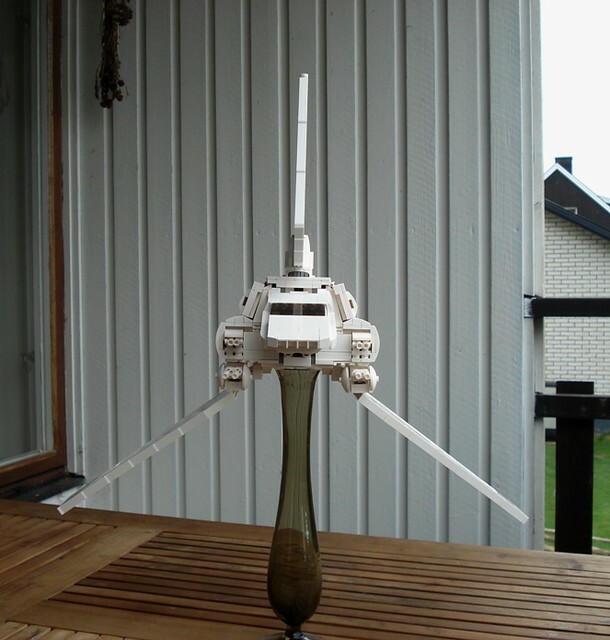 Edit: I was talking about mordrate's picture and as he said, the landing gear does not fold neatly at all (left one). However, it looks very accurate when landed. I think I will keep the original system until a better solution appears. There are a lot of great modders around so it's just a matter of time.